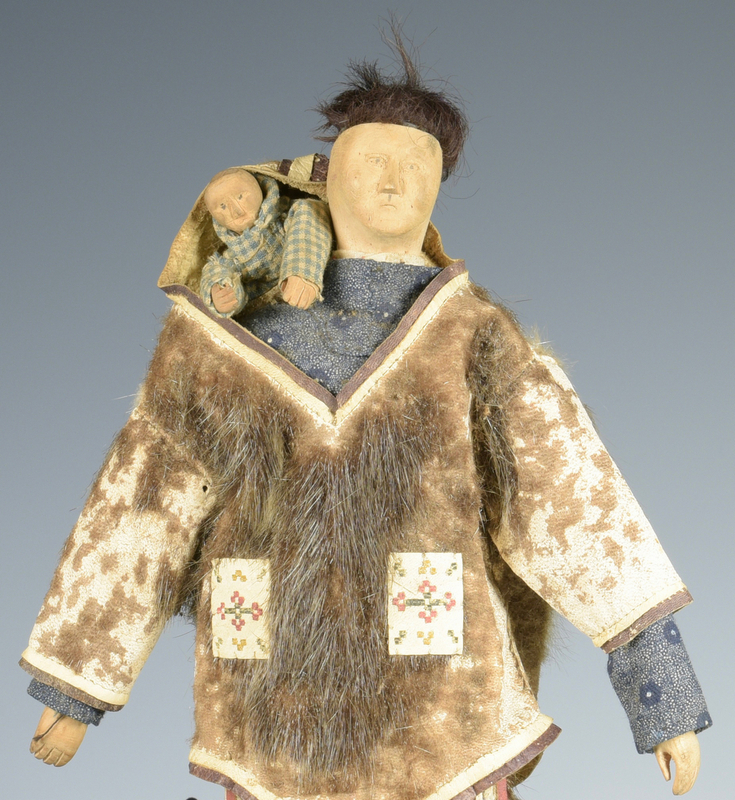 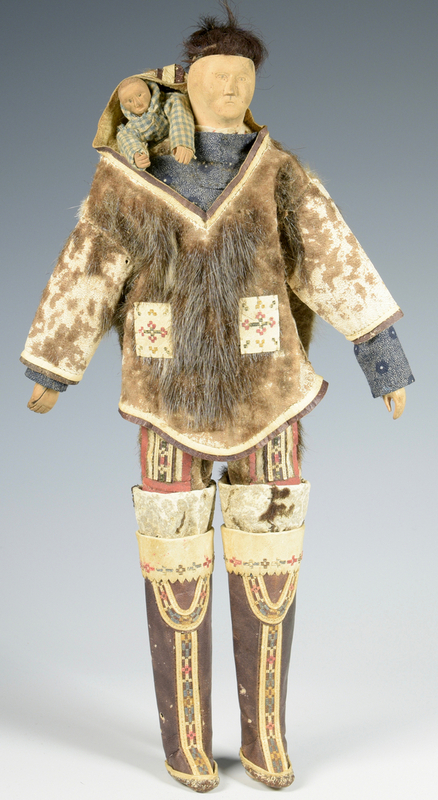 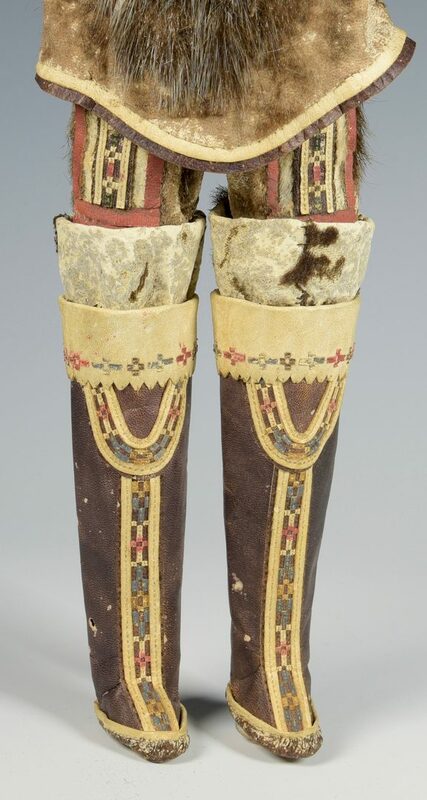 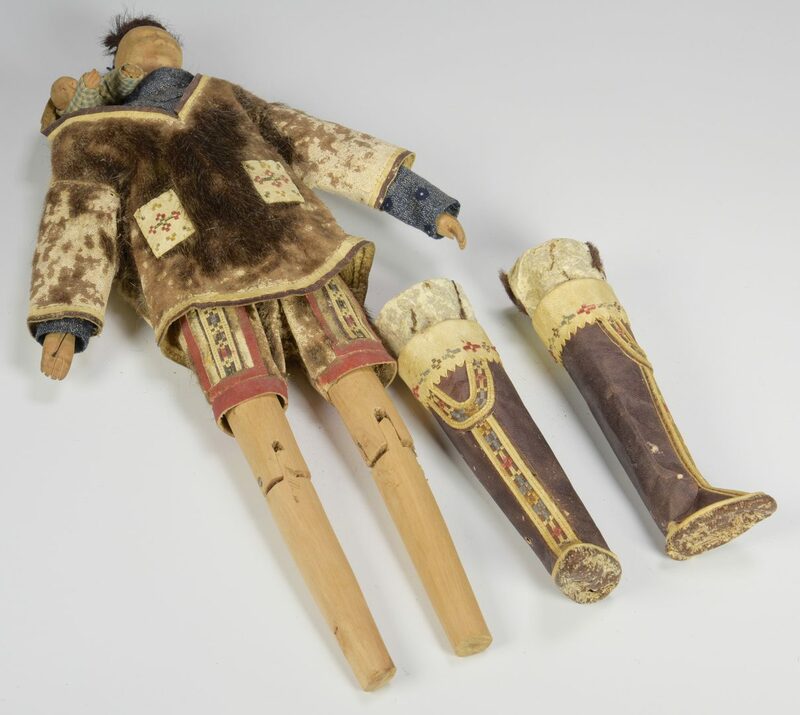 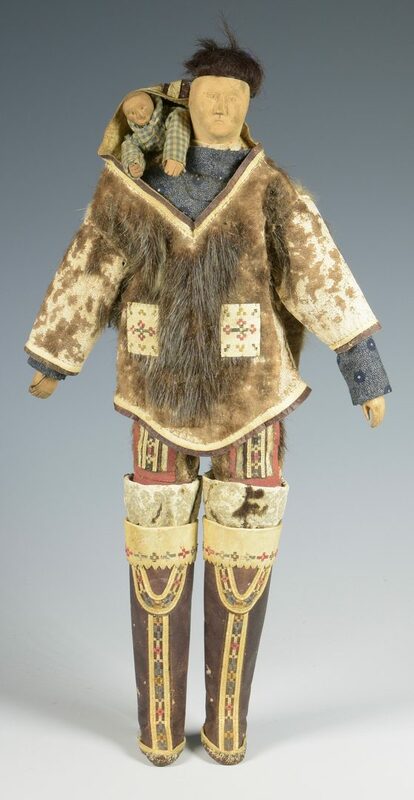 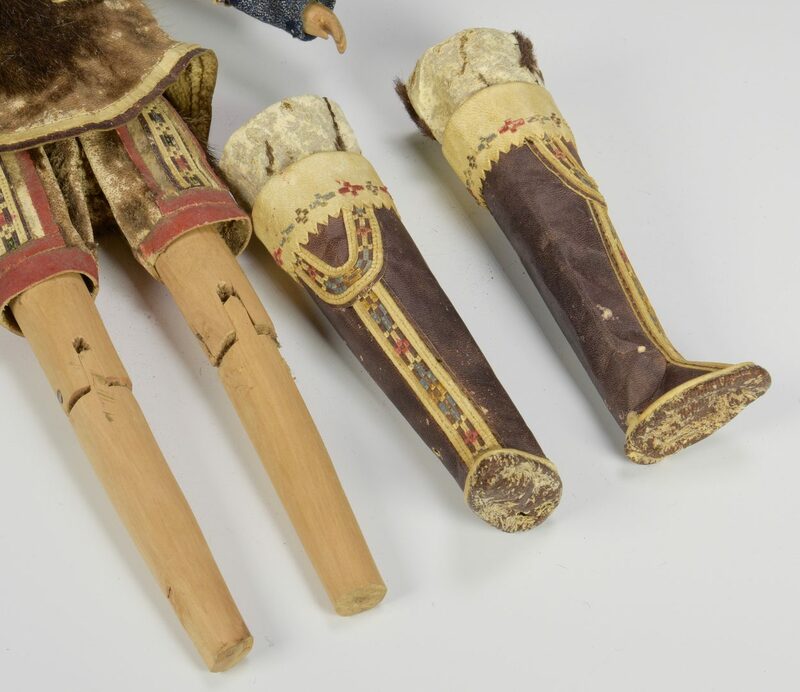 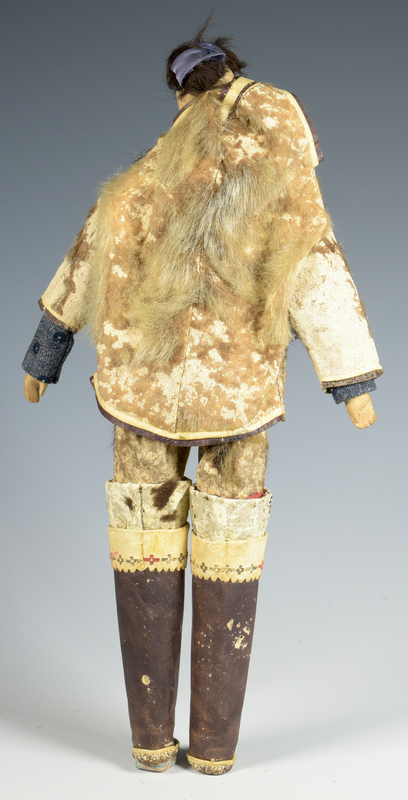 Eskimo Wooden doll, carved face and hands, sealskin parka and elaborately decorated stitched and painted pockets, pants and boots, carrying a papoose with carved wood child doll on back. 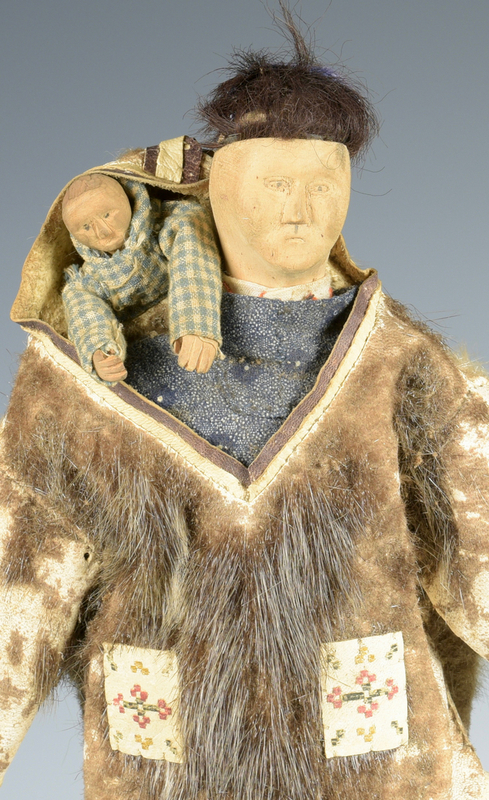 16"h. Alaska or Greenland, early 20th century. 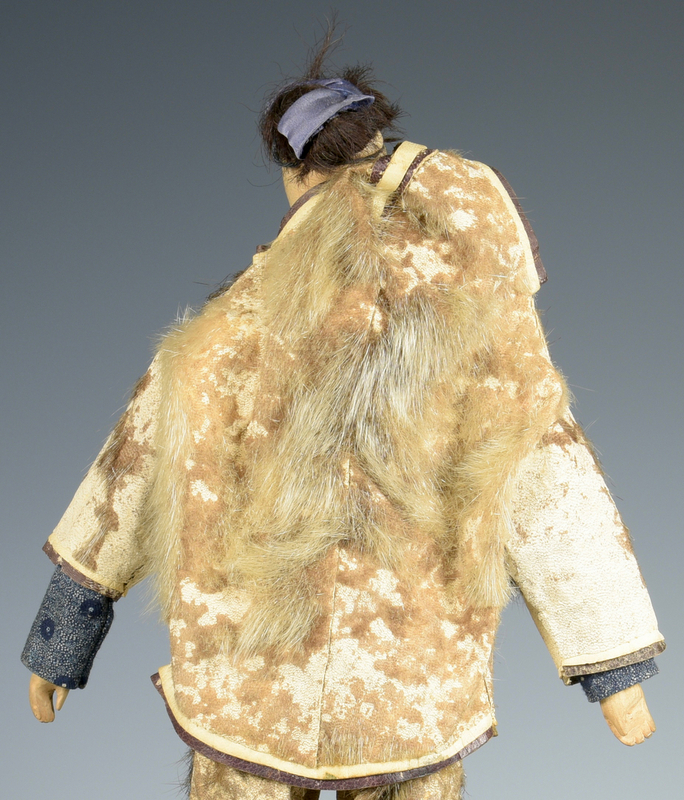 CONDITION: Very good condition with light grime, wear to coat.